Spiritual warfare. Ever since I was saved this term really bothered me. Just the sound of these two words clashed with my spirit since the first time I’ve heard it. This just did not make any sense to me. To the church, Jesus Christ Himself, the apostles and millions of Christians right through the ages tried to defeat Satan but nobody could defeat him and his demons yet. The war goes on and on. Just the other day I saw a disgusting image of our Lord Jesus Christ engaged in an arm-wrestling contest with Satan. Let us face the facts people, if there is still a war then Satan is not yet defeated. Through the years though, I thankfully learned a quite different story. I was fortunate enough to be taught by Spirit-filled men of God who did not believe this lie one bit. These guys really studied the word of God. They were taught by the Spirit and in turn they taught God’s people the truth. Having said that, I need to make the following statement: Of course I know that there is a war between us and evil! It is just that children of God are completely ignorant about the principles governing this war and they are also ignorant about the way that evil needs to be resisted. It is absolutely amazing how easily people are being deceived into believing all sorts of false doctrine without even realizing it. The fact is that these people do not know the Scriptures. If they knew the Scriptures they would have realized immediately when somebody attempted to teach them a false doctrine. The mistake that we made through the years and still make today is relying on pastors and ministers to teach us instead of relying on the Holy Spirit to teach us. It is quite a different story when you take up the word of God yourself to study. You will be amazed at the results when you study the word of God yourself. If you really ask the Holy Spirit to guide you and to teach you that is exactly what happens. It is then a totally different story all together because when the Holy Spirit starts to reveal the word of God and the will of God to you, you supernaturally understand God’s will and God’s word. What makes the difference? When you personally study the word of God you gain firsthand knowledge of the word of God. It is like planning your own trip to a really far destination. When you go through the detailed maps yourself you become familiar with all the information you need to know in order to reach your destination safely. If you rely on others to plan the trip for you though, you do not know anything except the directions that the person gave you. 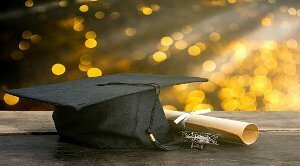 In such a case you just do not possess all the knowledge and information that you need to address all the difficulties and possible drawbacks that might cross your path. It is like being kept in the dark. You do not even know if the directions itself are correct in the first place. This portion of Scripture makes it as clear as daylight. Verse 13 clearly says that there are people who are being deceived. It also says that these people also deceive others. Some of them might not do this on purpose but still, they have been deceived and they deceive others. Many exorcists fall under this category. I have devoted a whole chapter in this book on the damage they cause in terms of doctrinal issues when it comes to generational curses and spiritual warfare. Verses 14-17 confirm that we have learned from God, if we allowed Him to, and that we do have the Scriptures which is able to reproof, correct and instruct us in righteousness. Each and every doctrine need to be supported by Scripture. If there is no Scripture to support it then it is just not true. An example is the false doctrine of generational curses. Did you know that there are absolutely no Scriptures that state or indicate that Christians are or can be punished because of the sins of their ancestors? Did you also know that there are actually Scriptures that clearly state that the sons WILL NOT carry the sins of their ancestors and that the ancestors WILL NOT carry the sins of the sons? Yet people believe in generational curses. Did you know that the only reference to generational curses was made only to heathen nations and people who hate God? Did you know that there are Scriptures that state that God even took generational curses away from heathen people and unbelievers? This implies that since the cross, even unbelievers and people who hate God do not have to carry the sins of their ancestors? Did you know that there is not even one Scripture in the whole Bible that says that we must repent of the sins of our ancestors? Did you know that there is not one Scripture in the whole Bible that says that we must break generational curses? Did you know that there actually are a number of Scriptures that say that we must only repent of our own sin? Did you know that there actually are Scriptures that say that the sins of the one who committed that sin will be on him and on him alone? Did you also know that there are actually Scriptures that say that the righteousness of a person can only save him alone? That implies that nobody can be made righteous by their ancestors just as nobody can be made unrighteous because of the sins of the unrighteous or ancestors. There are Scriptures for all the statements I made here. I am going to give you those Scriptures but first I need to discuss a very important Biblical principle with you. This principle is of the utmost importance. If you know and understand this principle you cannot be deceived. What is this principle? No matter how unbelievable Scripture might seem to you, it always is and always means exactly what it says! Apart from a few symbolic issues it is therefore quite easy to understand the Scriptures. The moment people ignore this principle, those people open themselves to deceit. The moment you expose yourself to believe something contrary to what Scripture says, at that moment you become a victim of deceit. Really! Does this principle always work with all Scriptures? Yes it does. There are no exceptions. You can test this principle if you want to. In fact, we call it the “Deception test”. It is quite easy to determine whether you have been deceived and whether you are still being deceived. This test proves these two facts beyond any doubt. Step 1 will determine whether you have been deceived and step 2 will prove it beyond any doubt. This is quite easy. Are you ready for the test? Are there any scriptures that you know of that make certain statements, but you actually believe the contrary? This means you know of Scriptures that make some statements but you also know that you actually do not believe that those Scriptures are valid anymore. Do you know of people who actually believe these Scriptures? This means that there actually are people who declare that they believe these Scriptures and that these Scriptures are true. They say that they do experience the results of what these Scriptures promise. Do you believe the contrary without supported scriptures to prove the contradiction? This means you do not know any Scriptures that actually directly contradict those Scriptures. Now that was easy! Did you answer these questions honestly? How do you feel about the following Scriptures? If your answer on at least one of the three questions above was “yes”, then you probably have been deceived and are still being deceived. Step two of this test will prove the facts beyond any doubt. When the Bible makes any statements, those statements are true unless it has been overruled by another Scripture. In such a case the most recent scripture cancels the validity of the first or the former Scripture. You will probably recognize such Scriptures by statements made to this effect by the relevant writer or person that made that claim in the Bible. Jesus for instance brought up some Old-Testament Scriptures that were changed with the following words: “It is written that… then something will follow like “a tooth for a tooth”…and then He will say, “But I tell you”…followed by the change or the correct statement. Remember God is always the same. He does not change but He does change things. For instance, in the Old Testament salvation could be obtained through the blood or the offering of a lamb. God changed this by substituting the lamb in the New Testament with Jesus Christ, the true Lamb of God. The above references are classic examples of Scriptures that have been changed. The Bible belongs to God because it is the word of God. He may change the word exactly like Jesus did in this case. If Scripture had not been changed then the first applicable Scripture still is the truth. This is why the “Deception test” is so easy to do. This test is absolutely foolproof and the reason why it is foolproof is the complete absence of contradictory scriptures for all the valid statements in the Bible. Let us proceed and complete the “Deception test” now. Do you believe that Jesus Christ still heals people even today? Do you believe that people are still being baptized in the Holy Spirit today? Do you believe that the gifts of the Holy Spirit are still functioning in peoples lives today as it did in Biblical times? 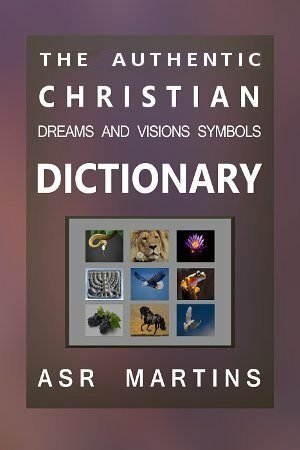 Do you believe that according to the prophet Joel that in the last days the Holy Spirit will come upon people and that they will dream dreams and that they will see visions? Do you believe that people still see visions? Do you believe that people are still casting out demons, still laying their hands on people to heal them from diseases, still speaking in tongues, still prophesying and still functioning in all the other gifts of the Spirit? Do you believe that generational curses does not exist anymore as stated above in Ezekiel 18:20? If you answered “no” on any of these questions than you have been and still are being deceived. As a reminder; God followed a very important principle in the Bible that is very important for all of us to know. That principle is the following: All statements in the Bible made by God directly or by His prophets are in fact plain and simple the truth. It is exactly what it says and it means exactly what it says. That is why people believe these statements. Those who do not believe these statements are simply being deceived. You can of course test yourself on a number of Scriptures. 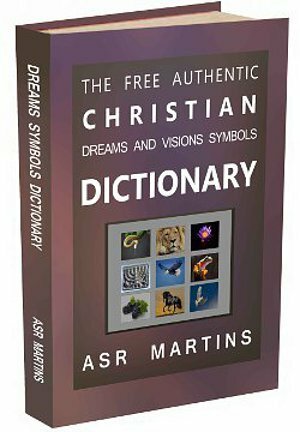 People who have been seriously deceived will find that there are quite a number of Scriptures or statements made in the Bible that they do not believe. They actually believe the contrary although there are absolutely no Scriptures that support their beliefs. These people will find that certain “man made statements” actually support their beliefs. This is where the deception comes in. If there is no Scripture that contradicts the original statement, another statement will do the trick. Now some people absolutely believe this Scripture. Yes they do, even though some parts in this Scripture seem totally outrageous. They however believed Christ and they speak with new tongues, they cast out devils, they lay hands on the sick, they take up/away snakes (demons, the correct translations is not “up” but “away”), deadly things do not hurt them, signs and wonders follow them. These people do not only believe, they also do these things. These people knows that if God says something then it is the truth no matter how ridiculous, outrageous or impossible it may sound. These people can therefore not be deceived. Now some people do not believe this Scripture and they do not carry out these things. Why not? Although they are Christians, in this case they have been deceived not to believe God’s word. That is the bottom line. They do not have faith in this word. None. There is absolutely no Scriptures that indicates that this Scripture is for some reason not valid anymore or not the truth anymore. Are there any Scriptures that support these statements? No. Now although there are no Scriptures to support these statements, people still do believe these statements. They will try to use certain Scriptures in the Bible to support these views whether those Scriptures are applicable or not. If they cannot find anything to support these views they just believe these statements anyway. Period. These people have been deceived to believe the doctrines of men rather than the word of God. This is actually nothing else than the doctrines of devils. You will be amazed to see how many Scriptures are either just totally ignored and how many times the exact opposite is believed. Well this is the world of the deceived. The more Scriptures, like the one above, that you identify as being contradictory to what you believe, the more you have been deceived. This can be quite a shock for some people. The bottom line is that we should actually believe exactly what is written in the Bible. Not the contrary. First I need to give you some background on why these Scriptures on generational curses came into existence in the Bible: The Israelites did not really understand the concept of generational curses and so a lot of misunderstanding and a lot of myths came into being in Israel in the time of the prophet Ezekiel. There was actually quite a debate among the Israelites on this subject. They knew that something of this nature was written in the book of Deuteronomy but that was about all most of them knew about the subject. Remember that those days the Old-Testament was not available to the common man resulting in a lot of speculation about the word of God. God saw all the misunderstandings and He heard all the speculations so He decided to get involved in this debate with the sole purpose to set things straight. We read all about this in Ezekiel 18:1-32. The Greek word for world in this Scripture is“кόσμος” which means the “whole world and all its residents”. This means that Jesus Christ was punished in our place. Even the sinner does not have to be punished today. This is called the “time of grace”. From the moment that Jesus died and got punished for the world on the cross, nobody is punished until of course an unbeliever dies without Christ. At that moment, when he dies, the curse of the law hits him with full force. That means that the moment a person dies without Christ he has to carry his own punishment. This is clearly stated in Isaiah 65:20. This Scripture pointed to the time of Christ, the good and acceptable year, the “time of grace” when even sinners will live a full and a long life. However when his time of grace runs out, he will be cursed and he will pay the penalties for his sins. God really wanted to kill this false doctrine in its tracks. If you read the whole chapter of Ezekiel 18 you will see that God purposely covered all scenarios and all aspects from all angles in order to make it as clear as daylight. There is no such things as generational curses because everybody pays for his own sin. Because everybody pays for his own sin everybody must repent of his own sin. The accountability of sin is respectively upon each individual. God says a number of times in this chapter that the soul that sins, that soul must die. Even in Deuteronomy 24:16 he said that the son cannot be punished for the father’s sin and the father cannot be punished for the son’s sin. The Bible just cannot be more clear on this subject than this. Now there is absolutely no Scriptures that states the contrary. So what did the deceivers do to counter this problem? They made a lot of statements that contradict these Scriptures. They even attempted to use some Scriptures out of context to support all these statements. This Scripture has nothing to do with generational curses. It has everything to do with the nation of Israel. Just as we today as an “Afrikaner” nation have to carry the results or burdens of “apartheid” because of the decisions our nation’s forefathers made. “Apartheid” was a sin. The Israelites had to carry the burdens of the mistakes and sins of their forefathers. Many nations all across the world were burdened and are still burdened because of the sins of their forefathers. Germany and Japan are classic examples of this. Adolf Hitler and the German nation as well as the Japanese nation committed serious atrocities during world war two. Both these nations were severely punished for this in terms of war-penalties and discrimination through the years. The culprits were long dead while their descendants were still paying for their iniquities. This is what this Scripture in Lamentations is all about. It has nothing to do with visiting the iniquity of the fathers upon the children unto the third and fourth generation. It has nothing to do with family or generational curses. I used generational curses as an example to show you how people are being deceived. Although Scripture is clear on the truth people are being conned into believing a lot of things which are not Biblical. I sincerely hope that you are satisfied with the results of your “Deception test”. My earnest hope is that people would not ignore this truth about God’s word. It is a very important key that will prevent people from being deceived. It will set people free. The moment that people realize that God’s word is written according to this principle they have a very good chance to be set free and not to be deceived again. I want to repeat this principle once again: “All statements in Scripture are simply the truth exactly as it is written”. When the Bible says God heals then He heals. Period. Is there a scripture that says that God does not heal anymore? No. Then He still heals. Period. Are there a lot of statements with all sorts of reasons why He does not heal anymore. Yes but if it is not in the Bible. It is statements made by men and because of that it is not the truth. Period. Please read this paragraph again. This can and will set you free if you decide to make it part of your life. The false doctrine called spiritual warfare came into existence exactly as I mentioned above. In fact the false doctrine of generational curses gave birth to the false doctrine of spiritual warfare. It was almost an automatic result of the generational curses doctrine. You will be amazed how many statements, sayings and war-cries, people who believe in these doctrines make and use daily that cannot be find in the Bible. Yet they believe these statements and these doctrines as if it is in the Bible. Paul used the term “spiritual warfare” as a metaphor but unfortunately people took it literally. Paul did bring the true facts about this subject into perspective in other portions of his letters but people missed that. I sincerely hope that this chapter thoroughly introduced you to that all important key that will protect you from being deceived in future. I want to “say” it for a last time just to emphasize it once again: No matter how unbelievable Scripture might seem to you, it always is and always means exactly what it says! How does the devil oppress Christians? This just do not sound right! How on earth does he succeed doing this? Now how does the devil go about oppressing people even after Christ paid the price for them and after He delivered them from sin and diseases? No, the devil does not have the power to go out and oppress people all over the world by inflicting them with all sorts of diseases. It does appear that way but it is just not the truth. He however does oppress people and this is why I am writing this post today. Christians need to know how he does that in order to understand how to resist being oppressed by him. God created hell to punish Satan, demons and unrighteous people if they die without Christ. Those who reject Christ cannot escape hell. God created sickness and diseases to punish people who sin. We however know that God the Father do not punish anyone anymore because of the redemption work of Christ. This includes the saved and the unsaved. Even the unsaved live in a time of grace. Anyone who dies without Jesus Christ however brings the curse of the law upon himself the moment he dies without Christ. At that moment he descends into hell where he must now carry his own punishment. Because he rejected the blood of Christ God the Father now punishes him for that. The point I want to make here however is that God the father created sickness just as He created hell. Both came into existence because of a decision made by the Father. Both belong to Him. Only a God can punish. Only a ruler of a kingdom can make laws and force his subjects to live according to those laws. In order for such a ruler to make laws, to enforce those laws and to punish his subjects if they do not conform to those laws, he needs to be a lawful ruler. His ruler-ship needs to be legitimate. These are some of the reasons why Satan cannot punish people. He is not a lawful ruler or a God who can make laws, who can enforce laws and who can punish people who do not conform to those laws. Satan cannot throw you in hell and he cannot put sicknesses and diseases upon you even if he wanted to. Firstly he is not God the Father and secondly a child of God cannot be punished anymore by anyone at all. Not even God the Father can punish you because of the redemption work of Jesus Christ. A child of God can legally not be punished and sicknesses and diseases are nothing but punishment. That is what it was created for. It serves and cannot serve any other purpose. Right through the Bible it is clearly stated that God punishes people with sickness. He also throws people in hell and He uses His angels to throw those people in hell. Does that make Him a bad God? Does that make Him an unjust God? No, that makes Him a fair God. This world is filled with bad, unholy people who murder and oppress women, children and good people! God always protects the weak. These people need to be punished. They need to pay for their atrocities! That is only fair and that must be done! God cannot allow people to do what they want and just get away with it! All righteous people do understand this principle of the kingdom of God. These verses are just a few among a lot of Scripture saying the same thing. It was a warning from God to Israel. He warned them but they did not listen. God then kept His word and HE brought all the evil described in this Scripture over the nation of Israel. He did not use the devil to do it for Him. No, He did it Himself. He is God and He does this when necessary. God uses angels to throw the devil, demons and even people in hell. Do you know what type of torment and afflictions people have to go through in hell? God is certainly capable of punishing people and He uses the good guys to punish the bad guys. When a man committed a crime the police arrest him and they, along with prison wardens, throw him in jail. It is the good guys who are enforcing the law. It is the good guys who bring people to justice. The government does not utilize criminals to bring other people to justice. God does not use Satan to punish people. 4 Surely he hath borne our griefs, and carried our sorrows: yet we did esteem him stricken,smitten of God, and afflicted. Please take note that the curse of the law is nothing else than punishment. When someone, according to Deuteronomy 27:11-26, declared a curse onto someone it meant that the law was broken and that the person who trespassed the law must now be punished. In the dispensation of Christ that cannot happen because all sins have been paid for by Christ when he took all punishment on Him. A person has to die without Christ before the curse can come over Him. The curse kicks into action when a person dies if he rejected the blood of Christ. Such a person must then pay for his own sins. This is a clear indication that God does not punish anyone anymore. So how can people believe the lie that the devil makes them sick. No, nobody confiscated or hijacked hell or God’s methods of punishment or God’s legal right to punish from Him. The devil cannot throw you in hell and he cannot put diseases upon you. He is not God! What caused the confusion in terms of punishment and diseases? It is clear from certain Scriptures in the Bible and from personal testimonies that there definitely is a connection between diseases and Satanic oppression. Jesus referred to sick people as being oppressed by Satan. One testimony that I heard was in the life of Kenneth Hagin. He testified that he once prayed for a lady with lung cancer for four evenings in a row. She just did not get healed in the healing services. The next evening, the fifth service that he held, she was in the healing-line again and Kenneth decided to pray for her again. The moment he started praying for her he suddenly saw in the spirit realm. He could see a small demon hanging onto this lady’s lungs. Kenneth immediately knew that the cancer was caused by this little demon. He immediately cast it out and the lady was immediately and miraculously healed. Now Scriptures referring to sick people being oppressed by Satan and testimonies like the one above may bring us under the impression that Satan can go around to randomly inflict people with diseases. This is however not true. Satan hasn’t got that power. If he had he would have gone rampant on all mankind. He hates us so much that he would have killed us like flies. Exactly how does the devil oppress Christians? In order to answer this question we need to make it clear why people and even why Christians still get sick today. There are two very important reasons for this. Firstly sickness is a natural and a direct result of sin. That means any person using drugs, smoking or getting involved in any sin will eventually bring diseases into their bodies directly because of that particular sin. Smoking can cause lung cancer and so can drugs also cause a number of diseases. Even spiritual sin like unforgiveness can cause sicknesses like cancer. It is not God the Father punishing people. It is people naturally causes sicknesses to germinate and to grow inside their bodies because of sin. Secondly Christians get sick because of unbelief. They just do not believe that God can protect them against danger, sicknesses and any other acts and occurrences that can and may cause injury or damage to their bodies. Because of unbelief many Christians are exposed to this kind of thing. This is where Satanic oppression gets to such people. Sin and unbelief open doors to Satanic oppression. Satan’s primary goal is to get Christians involved in sin. His secondary objective is to cause people to doubt in God’s word of protection. This is how Satanic oppression starts. Jesus won the battle for us. He openly triumphed over Satan and He disarmed him. The devil really has no power over us. He is a defeated foe. For this reason we are not involved in a war with him. The instruction from God is to submit ourselves to God and to resist the devil. Resisting is a somewhat passive resistance like manning a border post. The sole purpose of a border post is to keep illegal people out. Yes, God did equip us with strong and potent armor in order to protect ourselves. We need to be ready for evil forces by clothing ourselves with the full armor of God. Although we are not involved in a warfare we do need to protect our borders and we do need to be strong. Like any nation we deploy our soldiers on our border posts, ready and clothed in full armor. At this border post our enemy arrives with lies and deception. He does not arrive at the border post with firearms, canons or bazookas. He is not even clothed in spiritual warfare armor because the Lord Jesus Christ completely disarmed him on that wonderful day. He however does have a very strong weapon! His tongue! He uses his tongue to deceive and to entice us into all sorts of sin and temptations. At the border post he seeks only one thing and that is entry. He wants an open door. He wants a place in our lives. In order to achieve this he starts to negotiate with us. He starts to reason with us. He tries all his dirty little tricks in order to persuade us to open the gate for him. He even tries to creep past us without us noticing. He entices us to open the door for him by allowing sin in our lives. He attempts to get us so far as to confess negative things over our lives. He lies and he deceives hoping that we will fall for those lies. Exactly what he did with Eve. And again, Adam and Eve were not involved in a spiritual warfare with Satan. Even today the devil uses the same tactics as he did with Adam and Eve. He questions the word and the promises of God in order to make us doubt in God. There at the border post is where it all starts. As a result we sometimes start harboring ungodly and toxic thoughts. The more we give in to his lies, temptations and deceptions, the more we act and the more we say what he wants us to do and wants us to say. This leads to sin and sin brings death. We start smoking and drinking. We start despising other people and we start to be unforgiving towards other people. Sin is the cause of sickness. Smoking causes all sorts of lung diseases. Hate and bitterness (unforgiveness) causes cancer and other diseases. This is how we open the door for the devil. This is how Satan slowly but surely starts oppressing a child of God. We allow him to influence us and that causes us to become sick. We sometimes allow demons to cause affliction in our bodies by giving them permission to do so. We give in to his ways, his will and the pressure that he puts on us. He cannot make you sick unless you open the door for him by getting involved in all these ungodly practices, disobedience and fear. The devil does not oppress innocent Christians by putting all kinds of disease onto them. In fact, the devil can do absolutely nothing to an innocent Christian. It is the “not so innocent Christian” who picks up problems. People, we can never blame God because He does not tempt us and He does not punish us. We can never blame the devil because he just hasn’t got any power over us. We can only blame ourselves because we got involved in bad thinking and sin because of the lies, temptations and deception that we listened to and adhered to. We accepted the lies of the enemy there at the border post and we allowed him to enter into our lives. We are absolutely NEVER a victim of circumstances outside our control. That is a lie from hell! We are always to blame for anything and everything that goes wrong in our lives. God gave us Divine protection, Divine healing, Divine provision and Divine maintenance. If we serve God the way we should we are totally protected. The problem is that we are not obedient to God and His word. We do not believe his word and we do not make his word part of our lives. We do not meditate on His word so that the Holy Spirit can use the word to build up our most holy faith. Stop blaming the devil and stop blaming God. Accept your responsibility to reign as a king in the kingdom of God and over your personal circumstances according to His will and His word. Do not give the devil any place in your life and do not open any door for him. Submit yourself to God, resist the devil and he will flee from you. If you do this, he cannot do anything to you at all. What a wonderful truth this is? We can always be victorious in all circumstances in life. Praise God for the work he has done! With His blood he saved us! With His power He raised us! Praise God for the work He has done! 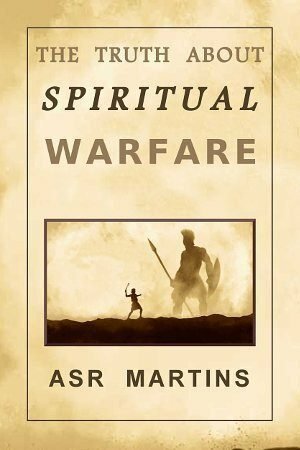 l want to discuss a very interesting aspect of spiritual warfare that I came across with recently. John Paul Jackson, a well-known preacher received some interesting insight directly from the Lord Jesus Christ a while ago on this subject. This insight came as a result of an occurrence in which John was involved. According to John, three different pastors all contacted him on a specific day to obtain advice from him. All three pastors experienced a difficult time in their lives. They were all unexpectedly facing either a personal crises or some problems within their respective congregations. One pastor’s daughter disappeared and he had no idea what happened to her. The other pastor’s son ran away from home and the pastor had no idea why this incident occurred. He also did not know how to deal with this problem. The third pastor contacted John shortly after the other two. This pastor reported that six ladies in the congregation, who were all pregnant, simultaneously and unexpectedly experienced complications with their pregnancies. They were all facing unexplainable miscarriages. These pastors, who were all from different locations, were all devastated. They all contacted John for advice. He promised to pray for them and to seek the Lord for guidance in these matters. John prayed the whole day but at the time he went to bed he still had no answer from the Lord. He however had a very interesting dream that night. In the dream he saw a very big moon very close to him. It appeared that the moon was touching the ground and it appeared to be no more than a few kilometers away. He then saw the silhouettes of three men standing on small platforms with their backs towards him. In the dream John noticed that the three men were all shouting at the moon. Behind the men a crowd gathered and this crowd started cheering them on. John then noticed that all three of them were armed like cowboys with holsters and weapons in the holsters. Inside the holsters however, were no revolvers but hatchets or small axes. We know that in dreams an axe symbolizes judgment. The men started throwing the moon with these axes but it fell way short onto the ground. This means that the three men were busy applying judgment on something but the judgment did not come into affect. The moon, in this case, symbolized evil spirits, evil activities and an evil domain. Although these actions, the shouting and the throwing of the hatchets, had no effect, still these men carried on with these actions. In spite of this the crowd on the spectator stands kept on cheering these men on. Every time the people cheered these men on their respective platforms raised a bit. Even the people on the spectator stands were elevated a bit every time they cheered. Eventually it was clear that everybody became tired. The shouting, the cheering and the throwing of axes made them wore out. The activities slowly declined and eventually the three men and the spectators got really tired. Soon they all fell asleep on the platforms and on the stands. When these people were fast asleep, demons started slipping off from the moon and they quietly crept up onto them. They then suddenly launched an attack on the unsuspecting sleeping crowd that took them completely by surprise. When the three men and the people awoke they were under serious attack by these demons. John witnessed in the dream how the three men and the people were suffering under the attack. They were actually tormented and they did not stand a chance against these demons. In the minutes that followed the Lord spoke to John. He told him that the reason for the tormenting and suffering was because these men and the crowd got engaged in something they were not called to be engaged in. They were acting and they were entering a realm or an area of dominion that they were not legally supposed to get involved in. 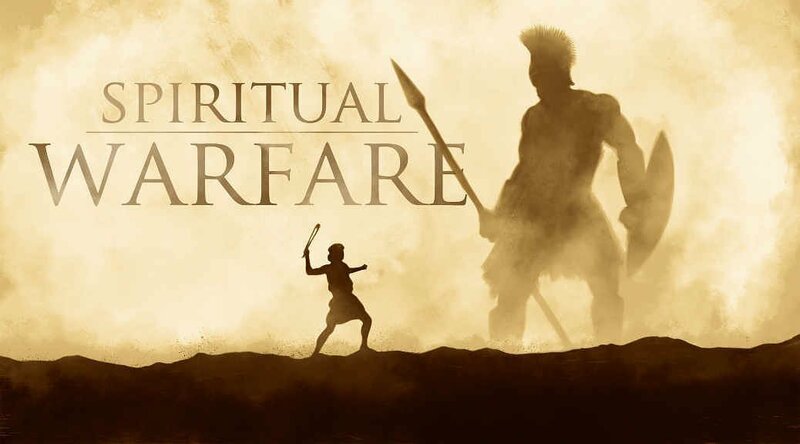 The Lord then explained that he did not lead them to be engage into spiritual warfare with the enemy on this level, in this way or in this realm. There are three areas of dominion. The first area of dominion is the third heaven where God reigns supreme. In this domain everything is complete and everything is according to the will of God. In this area of dominion God does not allow anything contrary to His will and His kingdom principles. The second area of dominion is the second heaven. This is the spiritual realm of the heavenly beings like angels and demons. In this realm the heavenly beings have dominion. In this area of dominion God allows the heavenly beings to perform actions which is against His will and against His kingdom principles. This implies that in this realm demons do what they want. Although these demons do what they want, there are still principles in place that govern this realm. God has put these principles in place. Although He does not force His will down on these heavenly beings He still keeps them within certain boundaries. Then thirdly, we have the natural realm which is the earth. In the natural realm man reigns supreme. People do what they want although, in this realm also, certain principles and laws have been put in place by God to keep mankind within certain boundaries. On earth we reign over our personal circumstances and in our own lives. God gave us our own free will and we can actually do what we want. He gave us a choice between good and evil and we have the free will to choose whatever we want. We can even contravene God’s will and His principles. We will however have to face the consequences of our decisions and our actions. This means that we also have to stay within certain boundaries determined by God. There are natural laws like, “If you jump off a bridge you will be injured or you will die”. This is a natural law and it will always come into play whenever somebody jumps off a bridge. We reign supreme and we can jump off the bridge if we want to. We can also decide not to jump off a bridge. In both instances we will either suffer the consequences of bad choices or we will reap the benefits of good choices and positive actions. There are also spiritual laws which do not differ from the natural laws in this regard. Again you can choose what you want to do with these laws and again you will also suffer the consequences of bad choices or we will reap the benefits of good choices. When demons enter our realm or area of dominion they are in actual fact leaving their domain and entering ours. They have no legal rights to do that unless we give them legal rights to enter our realm. You as a child of God and as a king in the kingdom of God have the right and the power to cast these demons out of your circumstances. Demons have no other option but to obey when we legally act in the Name of Jesus Christ. Even when a person who is demon possessed comes to you for deliverance, you can take authority over these demon spirits in their lives and cast them out. These demons have no choice but to obey. Here on earth we reign according to the power and the authority that Christ Jesus gave us. We can live victorious lives and we do not have to submit to evil at all. This means that Divine provision, Divine maintenance, Divine healing and Divine protection belong to us, everyday of our lives. Demons have absolutely no rights in our area of dominion. This is apparently a very different story, according to many preachers, when these demons have legal rights to enter our area of domain. An example of such a case was in the life of Kenneth Hagan sr. He once attempted to cast a demon out of a certain women. The demon refused to go out and he told Kenneth that the specific person actually wants him to possess her. When Kenneth discussed this allegation with the woman it turned out that her husband brought her for deliverance. She admitted that she actually wants the demon to possess her. This woman left without being delivered because the demon had legal rights to possess her. John Paul Jackson contacted these pastors separately and all three of them confirmed that they and their congregations were in the midst of serious spiritual warfare against the principalities in their respective cities. They were busy tearing down the strongholds that the enemy has set up in their cities. John surprised all of them with the advice that he gave them. They are wasting their time with these tactics because they have no legal rights to do that. God did not lead them to do that and He will never lead them to do that. They should actually pray to God to remove those strongholds. They should also pray for the repentance of the people who gave the enemy the right to set up those strongholds in their cities. Only God can remove these strongholds. Mankind has no authority or dominion in and over this domain. The enemy actually succeeded to set up these strongholds legally. Many people in their respective cities, through their own will and through their own actions have allowed the enemy to set up these strongholds. Spiritual warfare will achieve nothing to set the city free. The people of these cities need to repent in order for God to remove these strongholds. Christians can only and should only pray for their cities and for the people in their cities. Christians and even unbelievers in these cities are protected against these strongholds because they were not responsible for these strongholds to come into existence in the first place. Christians and churches reign over their own lives and own areas of responsibility and influence. These strongholds have absolutely no effect on Christians, unless of course, they are part of the problem. Even non-believers are protected against these strongholds. These strongholds only affect the people who were responsible for allowing these strongholds to be put in place by evil spirits. John then explained to the pastors the principle of the different areas of dominion. He also explained that it is actually rebellious to engage in something that God did not command them to do. They were actually following their own ideas and their own doctrines and their own ways. That is why this manifested in the natural through one pastor’s son rebelling against his father by running away from home. Just as a demon is exposed in our domain and eventually cast out or chased away, so we also, when we enter their domain, are exposing ourselves and making ourselves vulnerable to them. That is why one pastor’s daughter got missing and the ladies of the other congregation were facing miscarriages. John told them to repent and he promised them that if they do, everything will be restored immediately. The pastors and their congregations did repent and in fact everything was indeed restored within 24 hours. I am not in favor of spiritual warfare. We should reign as kings in the kingdom of God over our own circumstances, our own areas of influence and areas of responsibility. This means we reign over the earth. This has however nothing to do with fighting demons. We are not supposed to be fighting the enemy. Does countries who are not involved in a war have military armies? Of course most do! Are all the soldiers wearing uniforms and are these soldiers armed? Of course they do and of course they are armed! How does these countries deploy these soldiers if they are not involved in war? They deploy them on border-posts to prevent hostile people or illegal people from entering their countries. Hostile people can be considered as enemies. These soldiers are also carrying out border patrols in order to prevent illegal excess into their countries. This is exactly what God wants us to do: Do not give the enemy any foothold! How do we do this? Firstly take note that the Bible says we have a “struggle” or we “wrestle” against the enemy. We are not involved in a warfare. How do we wrestle against the enemy? We stand against it. It means we do not give in to sin or unbelief. We refrain from getting involved in sin and bad attitudes. We keep ourselves busy with good things. This way we do not give the enemy any foothold. This is manning our border-posts and this is patrolling our borders…….